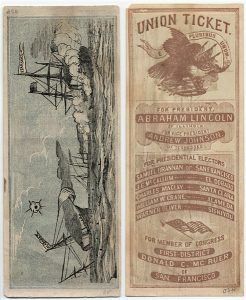 Think politics and elections are wild now in the 21st century, they were crazy wild in the 1870s and 1880s in America. Yet, roughly 30 to 40% today turn out to vote. The Federal mid-term elections for your ancestors back in the 1880s had roughly 80% of the voting public turned out – now that is only white and black men since the ladies still did not have the right to vote. Yet, your ancestors did turn out to vote, in spite of difficult transportation and that many could not read or write. But back then there was no secret ballot, instead, the men openly displayed who they favored with a political party ballot in a certain color so everyone knew who they voted for. Before that, you just orally announced who you voted for. There would be drunken brawls and petty bribery in the 18th and 19th century elections. This method of voting, called viva voce—literally, “with the living voice”—was how George Washington, Thomas Jefferson, and Abraham Lincoln would have voted, and were themselves voted into office. The beginning of a secret ballot – a voting method in which a voter’s choices in an election or a referendum are anonymous, forestalling attempts to influence the voter by intimidation, blackmailing, and potential vote buying. The system is one means of achieving the goal of political privacy. The Ballot Act of 1872 had Great Britain now using secret ballots. 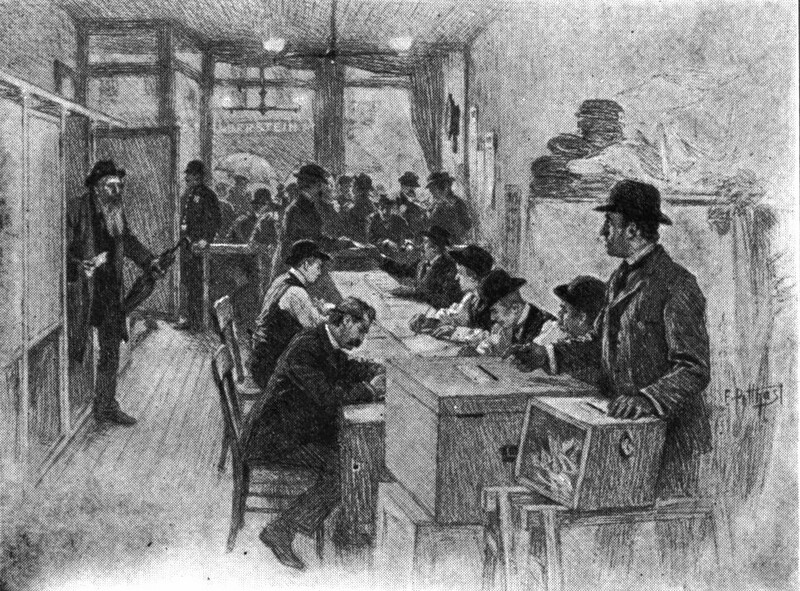 In the United States, the secret ballot started at different times in different states. Many states had an official ballot filled out by the voter in secret by the mid-1890s. 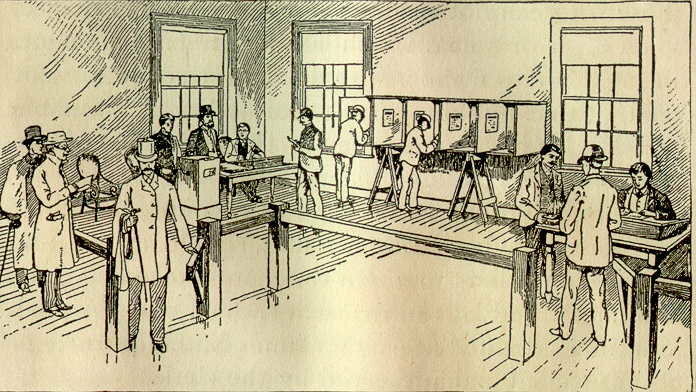 Massachusetts had the first secret ballot in 1888. Not all states, many didn’t start until the early 20th century, Georgia in 1922 and South Carolina the last in 1950. It may have never occurred to you about your ancestors voting and how it was done. Here was a little insight that it is quite different today even if it is still a ‘bit wild’ the campaigning but much calmer with the actual polling places. 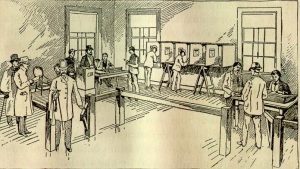 Photos: The 1864 Lincoln colored ballot, 1891 Massachusetts secret voting booths and NYC voting in early 1900s.